Our latest physician perspective interview is with Dr Neelesh Bhandari, who has been practising medicine for over 17 years and now runs “India’s Best Healthcare Social Media Agency”. Once upon a time, the only way for physicians to speak with patients was face-to-face, and the only way pharma could speak to physicians was face-to-face – you get the picture. To find out more about this trend in the emerging markets, and how social media has affected healthcare and the ways in which physicians and pharma now interact, pharmaphorum’s Hannah Blake speaks with Dr Neelesh Bhandari. Dr Neelesh Bhandari has been a physician for over 17 years and today runs what is known as “India’s Best Healthcare Social Media Agency“, according to an Award he won in 2012. Find out his thoughts below. HB: Hello Neelesh, thanks for taking the time to participate in this interview. 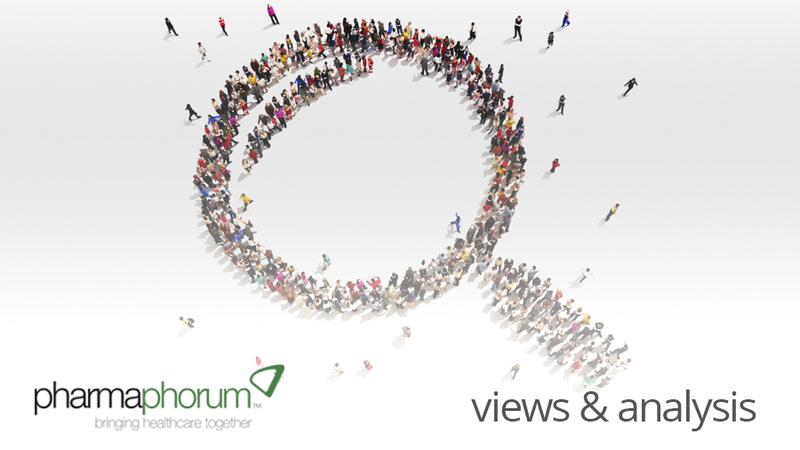 Can you tell us a bit about your current role and how you became involved in healthcare? NB: Thanks for having me on your website. I have been a long-time reader of your posts and have enjoyed reading / commenting on them. I have been a doctor for about 17 years now. After passing out as a Medical cadet from Armed Forces Medical College (Poona, India) in 1997, I have worked in public and private hospitals as an emergency physician, surgeon, medical officer, etc at various times from 1997-2007. After my post graduation in pathology in 2007, I quit practicing medicine and turned to the medical tech / corporate world. Since then, I have worked with eLearning, medical simulations, animation, pharma marketing and publishing industries at various times. I quit my 9-to-5 job about two and half years back to do what I wanted to do as this was not possible in the rigid and hierarchical corporate environment. Currently, I run a healthcare social media agency ‘Digital MedCom Solutions’ (for-profit) and the Society for Knowledge and Health (non-profit) in India. All our work is cloud-based and we work with colleagues in Sri Lanka, Indonesia, Australia and UK. I have been running my social media agency since October 2010, right after my last job with the medical education MNC, Wolters Kluwer Health. HB: How have physicians in India reacted to the rise in social media? I think the predominant feeling is that social media is a game changer for everybody but doctors are still not sure how to make the most of it. Of the 700,000 odd practicing doctors in India, 10% are already on LinkedIn and an estimated 30%+ are on Facebook. These are huge numbers and many companies in India are now realizing the reach and importance of healthcare social media usage. We maintain a number of blogs, Facebook pages, Twitter accounts and daily newsletters for doctors in India and I can safely say that our engagement rates are generally higher than those reported from more developed countries. HB: What are the biggest challenges in implementing a social media strategy for healthcare companies in India? Most companies and organizations I meet have not expressed doubts on the actual importance of having a comprehensive social media strategy. The main obstacle for them is that they don’t know how to go about it! Much as they would like to have a cutting edge social media presence, they do not have talent and skills in their current workforce to implement a social media strategy. Even if some of them have the resources, they are held back by lack of precedent. Innovation is not a very strong trait in Indian companies over a certain size. Another challenge is quantification of results. Indian companies I meet are still unclear on what they need to measure and what statistic they need to improve on. NB: Execution, and not motivation, is the obstacle to healthcare social media in India. We need to encourage more workshops and conferences on healthcare social media. We need more whitepapers and ‘How-to’ articles relevant to our country. More case studies need to be brought to light. We need to document best practices followed by healthcare companies around the world and share them with healthcare stakeholders in India. I believe it’s only a matter of time before social media becomes an integral part of healthcare. HB: Do you think healthcare’s attitude towards social media is different in India, compared with the rest of the world? Judging from what I read and observe, I would say doctors in India are more accepting of social media than in the west. That is probably because most patients in India pay out of pocket for services, and so doctors are always looking for ways to connect with more consumers in the market. Patients, too, realize the importance of social media. On the other hand, the industry has taken time to come around to the view that social media can be useful for them. Indian hospitals now have a fledgling presence on social media and not even all Health IT companies have a robust social media presence. It’s like a race where the consumer / patient is way ahead of everybody else, the doctor is rushing to catch up with the patient / consumer and pharma companies have heard the starting shot but can’t run yet because they do not have the right shoes, or if they have the shoes, they do not know how to tie the laces. HB: Last year you were presented with the Time Research Media Award for Running ‘Best Healthcare Social Media and Digital Marketing Agency’ in India for 2012 – what did this mean to you? NB: It was quite a shock actually. I have been engrossed in social media for doctors for some time now and did not think that anybody outside the small niche I serve was even aware of what we were doing. It has been hard to explain to people professional use of healthcare social media. But everybody understands an Award. So now people pay more attention to what i say instead of putting it all under ‘Facebook-Twitter Nonsense’. HB: How do you think the relationship between pharma and physicians could be improved? NB: It’s getting difficult for pharma to connect with physicians in the conventional way. Many hospitals and doctors have severely limited a medical representative’s access to the doctor. The best way to reach physicians today is via the internet. Almost all doctors use the internet for either official and / or personal reasons. Pharma needs to come online and establish itself as the best source for quality information. Social networking among doctors is rising rapidly and pharma can easily take advantage of that. Interactive e-detailing and community building activities online are just some of the ways pharma can follow to improve relationships with doctors. An easily quantifiable social media strategy is one sure way of reaching a large number of doctors, especially in India where geography and transportation are big hurdles. HB: And finally, where do you see healthcare social media going in the future? NB: Healthcare social media has a very bright future. It promises to democratize the whole healthcare ecosystem and give voice to the previously unheard stakeholders, the patient. Healthcare social media is destined to be much more than a mere marketing tool. I see it as becoming an integral part of healthcare services and expect to see dedicated departments of social media in all large medical and healthcare institutions. Even if pharma or any other industry does not support healthcare social media, the movement towards transparency and universal reach in healthcare has already begun. Dr. Neelesh Bhandari is a pathologist by education, a medical communications professional by vocation and a health rights theorist at heart. He runs India’s Best Healthcare Social media Agency (Healthcare Excellence Awards 2012) and hopes to lead the #hcsm revolution in India. Dr Bhandari has also just been appointed as Chairman of the Social Media Committee at the Indian association of Medical Informatics. You can find Dr Bhandari’s news curation website at hcsm.in and company details on digmed.in. How have physicians in emerging markets reacted to the rise in social media?